From the Amazon rainforest & popular for its invigorating energy and antioxidant content. 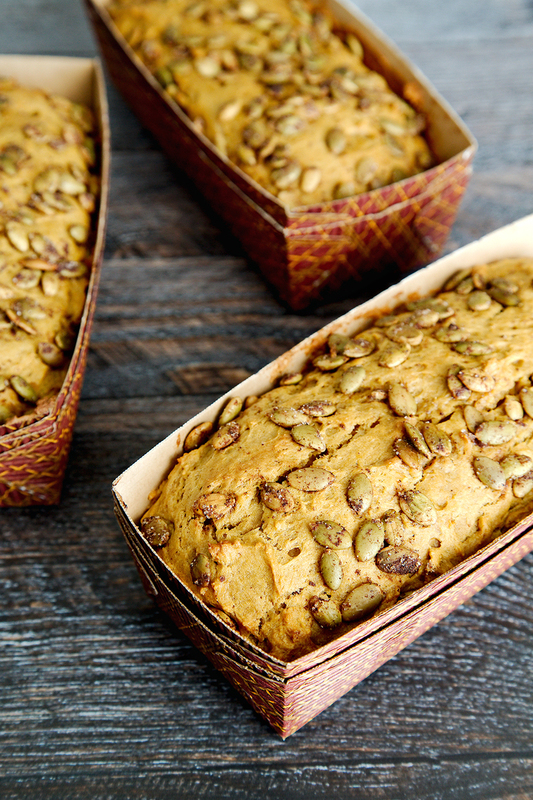 Spiced with ginger root, cinnamon, cardamom, clove & lemongrass. Contains matteine which delivers a bit of a buzz & significantly suppresses the appetite. I've spent the past few days traveling through Oklahoma on my way to Kansas City for The Midwest Tea Festival. It's a rather backwards route, considering I started out in Saint Louis, but my mom and I decided to go visit family before ending our trip in KC. This is a route we take nearly every year, although we've decided to shake things up a bit and stop in Tulsa to visit the Oklahoma Aquarium and Tulsa Children's Museum before heading to Oklahoma City to visit with my cousin and stop by Pops on Route 66. I've been busy this week updating my Instagram feed, so make sure you check it out to see what else we've been up to. With so much going on I nearly forgot about my last review before the tea festival. I may have been slightly distracted by the 600+ varieties of soda at Pops. Tea may be my beverage of choice, but I do have a terrible sugar addiction that Pops is really good about feeding. Anyway, when I wrote out my blogging schedule for the past month I decided to save the Tea Market, a local Kansas City shop, for last. Now I'm glad that I did. With all of the rain Oklahoma has had lately things have been on the chilly side and the Tea Market's Spicy Chai Mate is just what I needed to keep warm. 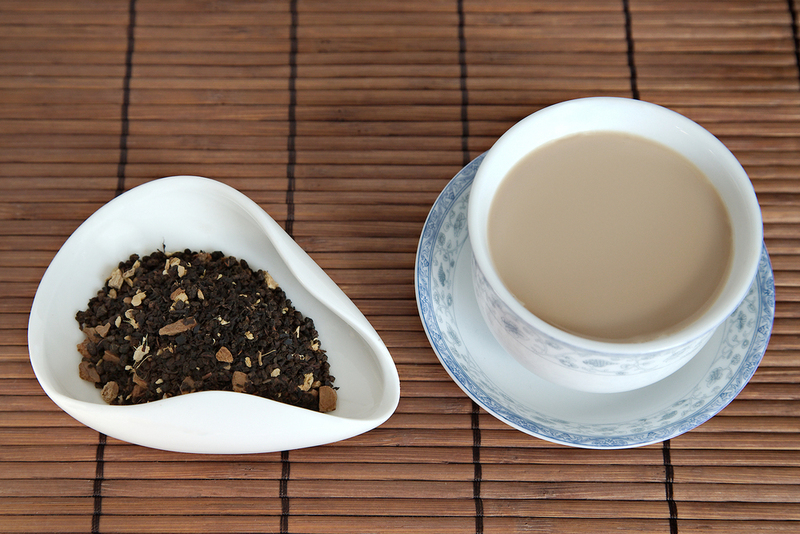 Unlike most chai this tea does not use black tea for a base and instead uses Yerba Mate, which has a higher caffeine content and a slightly toasted flavor. I've really been enjoying the strong flavor of cardamom mixed in with the citrus from the lemongrass and toasted notes of the yerba mate. The flavors are different than I'm accustomed to seeing in a chai, but they're delicious— especially the cardamom. If you've tried my Blueberry Cardamom Smoothie recipe, then you already know how much I love cardamom. Would I order this again? Yes. This tea may have some unconventional ingredients, but it's a great twist on the traditional chai most of use are accustomed to. Our Masala Chai tea combines premium organic Assam black tea leaves with warming cardamom, cinnamon, ginger, cloves, and other fragrant spices. This tea is finely balanced to create the perfect aromatic blend for you to enjoy black, or as it has been traditionally enjoyed, with milk and sugar. My first experience with chai wasn't anything particularly memorable. It was sometime in the late 90s and Starbucks had recently opened a store in University City. I skipped school one afternoon to drive into the city with a group of friends so we find out why everyone was making such a fuss about Starbucks coffee. At the time it seemed like everyone was talking about it. I wasn't much of a coffee drinker back then, but didn't let that hold me back. I was the first one brave enough to place my order and ordered chai because it sounded exotic. I had no clue what I had even ordered; I assumed it was coffee. After a few sips I decided it wasn't for me and traded drinks with my best friend who had ordered a caramel Frappuccino. I didn't give chai another thought until 2012 when one of my friends from Pakistan got married. The night before the wedding I was invited to her parents home to help celebrate and after dinner they served the best cup of chai I'd ever had. It was nothing like the weak cup I'd had during high school, it was sweet, creamy, and bursting with flavor. That one cup reawakened my interest in chai and I quickly learned how to make my own. Today's tea is a Masala Chai from The Persimmon Tree Tea Company, it's one of a handful of Fair Trade blends that they offer. While chai is traditionally served with milk and sugar I find that I prefer this particular chai plain because I can taste the spices more clearly. It's very heavy on the cinnamon and cloves with only the barest hint of ginger and cardamom. These flavors seem to get lost once I add milk and sugar so I typically double the amount of loose leaf when I serve it traditionally. I decided to make one more cup last night and found that I had run out of milk again. Instead I made this with half and half which gave it much more body. I loved how thick and creamy it was, so I may considering making all of my chai this way; it's much better than using whole milk. Would I order this again? Probably Not. I prefer a chai that doesn't lose its flavor once milk is added. In an effort to be open with my readers I want to let you know that The Persimmon Tree Tea Company has provided me with tea for review. As always, all opinions are my own.